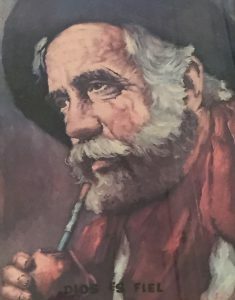 John Harrower, his wife and sons were missionaries in Argentina, 1979-88, during the ‘Dirty War’ 1976-1983 and the Falkland Islands War of 1982. Returning to Melbourne he pastored two churches alongside interest in youth and Islam. As Bishop of Tasmania, 2000-2015, he was a leader in the Anglican Church’s response to child sexual abuse giving an apology to survivors on his first day of office and calling for a Royal Commission eleven years prior to its establishment. 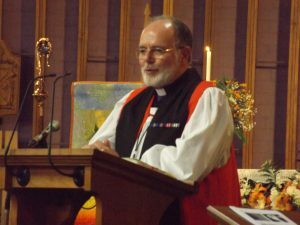 Now in Melbourne, he continues in ministry as Bishop Assisting the Primate (National Leader) of the Anglican Church of Australia. I have been thinking about it like this: “God is faithful in the triage.” This speaks to how we discern life and make decisions about what we can and cannot do. Like triage at the emergency room: some situations we seem able to deal with, with others we are unsure but we can give our best efforts, and then there are other situations for which we are not resourced and we have to let them go. Whatever the triage we know and live in the truth that ‘God is faithful’. Born in Melbourne John Harrower graduated with honours in Chemical Engineering from Melbourne University in 1970 and worked as a petroleum engineer with Mobil Oil from 1970-72. During these years he pursued studies in economics and political science, completing a Bachelor of Arts. This growing interest in economic policy was furthered through joining the Industries Assistance Commission, 1972-78. He became a Director leading research into the impact of technological and demographic change on Australia’s industrial structure. 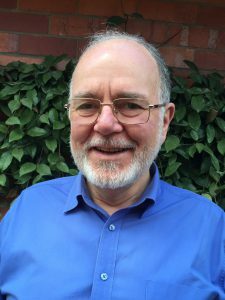 A change of direction stemming from an invitation to work as a university lay chaplain took him to the Church Missionary Society training college, St Andrew’s Hall in Melbourne over 1977-79. With Gayelene and their two sons John lived in Argentina for nine years, 1979-88, working with university students, growing a church, and publishing and distributing Christian literature. Life in Argentina during the years of the so-called, ‘Dirty War’, 1976-83, was not always easy! Nor was the Falkland Islands War, 1982, or annual inflation of 5000%! But in all of this, God’s love both through Argentine friends and colleagues and the Australian mission agency, CMS, led to a deeper understanding of community. The Bishop of the Diocese of Argentina ordained John a deacon in 1984, and a priest in 1986. John became the Vicar of St Paul’s Glen Waverley, 1989-95, before being appointed Vicar of the new parish of St Barnabas. This latter appointment involved restructuring three parishes into one parish over 1995-2000. He was an archdeacon in the Melbourne Diocese, 1994-2000. Special interests included youth, ministry formation and relating the Gospel of Jesus Christ to different cultures. Over these years he formalised his studies in mission and in 1996 gained an MA (Theology). On Australia Day, 2000, he was awarded a Medal of The Order of Australia ‘for service to the community through the Anglican Church and as a missionary’. On 25 July 2000 he was ordained a bishop and installed as the 11th Bishop of Tasmania. The Governor-General of Australia awarded John a Centenary Medal in December 2002 in recognition of his contribution to Australian Society. John’s leadership style is relational – while Bishop of Tasmania he sought to build a missionary diocese engaging with society and seeking ‘a healthy chuch…transformingLIFE’. He is strongly committed to social well being and justice. This is evidenced by his work in a number of social issues. Interests include relaxing with family and friends, reading, ‘pottering’ in the garden and prayer in the Christian and Muslim traditions.